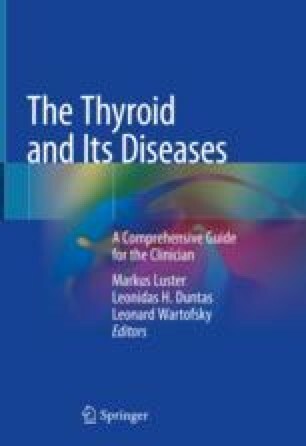 The treatment of advanced thyroid cancer has developed with increased understanding of the molecular basis of the disease. Alongside this targeted therapies have been developed, and there is evidence of efficacy for multikinase inhibitors in improving progression-free survival in this population of patients. An impact on overall survival, however, has yet to be proven. The design and results of the four published phase III randomised controlled trials leading to the licensing of vandetanib, cabozantinib, sorafenib and lenvatinib in advanced thyroid cancer are discussed. Identification of predictive biomarkers including histopathological, molecular and demographic factors may guide the most effective treatment selection for individual patients in the future and remains an area of active research. Continued enrolment of patients into clinical trials is therefore strongly encouraged to further improve the outcomes for patients with advanced thyroid cancer.